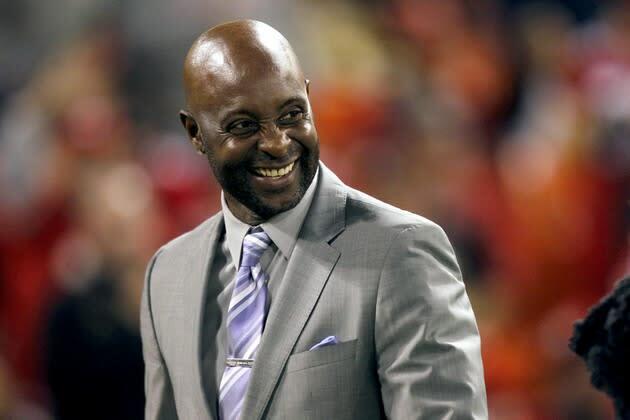 Nothing against Randy Moss and his bravado, but Jerry Rice is the greatest receiver ever. Since he's the greatest NFL player ever, that only makes sense. Moss made some waves during media day when he said he thought he was the greatest receiver ever. Well, it turns out that Rice is in New Orleans as part of ESPN's Super Bowl coverage, and the subject was obviously brought up to Rice, who thought what most everyone else did. 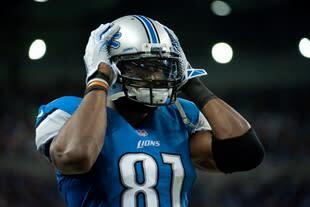 "I’m very surprised Randy Moss used that in those words, that he’s the greatest," Rice said on ESPN's "NFL Live." "You’d never hear me say I’m the greatest football player to ever play the game. I let my body of work speak for itself, and I think I was able to be very productive on the football field. Moss said that he can't be defined by stats, but that seemed to flummox Rice as well. "You have to look at the stats, you have to look at how you impacted the game, and it’s all about winning this right here, this is it, the Super Bowl, and I was fortunate to win three," said Rice, who was rightfully ranked No. 1 on the NFL Network's ranking of the top 100 players of all time in 2010. "Randy he finally has a chance to prove himself this weekend, and I wish him the best." No need discussing this further. It's hard to compare players of different eras, but Hutson dominated his. 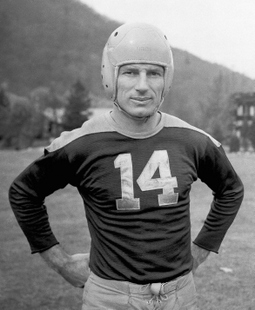 An eight-time first-team All-Pro, Hutson led the league in receptions eight times in 11 seasons (finishing second twice and sixth once), first in yards seven times (finishing second three times and third once), and led the league in receiving touchdowns nine times (finishing second twice). That's unbelievable production. This one is as easy as ranking Rice first. The thing about Moss is what might have been. What if he hadn't mailed in the Oakland part of his career, what if he hadn't had such a bad attitude that seemed to overshadow what he did on the field at times, and so forth. But here's a list: Rice, Emmitt Smith, LaDainian Tomlinson. The answer? The only human beings with more NFL touchdowns than Moss' 157. And let's not forget, if not for David Tyree, Moss would have a fourth-quarter game-winning catch in a Super Bowl to go with his other tremendous accomplishments. Too soon? Well, if he retired today, he'd still be the only player with two of the top eight greatest seasons for a receiver in NFL history, in terms of receiving yards. His 1,964 this year is the best ever, and his 1,681 last year is eighth. Rice only makes the top 10 in single-season receiving yards once (he is second; his next best season is 20th). Johnson also slogged along with some bad quarterbacks before Matt Stafford, and is just 27. He's likely the most physically gifted receiver we've ever seen. We will be talking about this guy long after he retires. So scoff if you wish, but if we were picking teams, I'd be more than happy with Megatron over anyone but the three listed above him here. Tough call over Terrell Owens and Marvin Harrison, but Alworth dominated his era. Alworth led the AFL in either receptions, receiving yards or receiving touchdowns three times each and was first-team All-Pro six straight seasons from 1963-68. He averaged a staggering 18.9 yards per catch, impressive for a guy who was in the top seven of the league in receptions seven straight seasons. Don't miss a thing from New Orleans this week! Follow @YShutdownCorner, and the Shutdown Corner Facebook page!